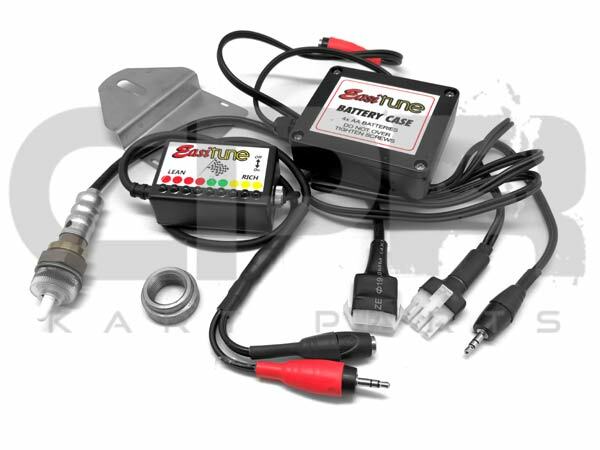 SAFELY BOOST YOUR KT100 POWER - Tune it the right way, quickly and easily. NEW 2019 MODEL! SAVE YOUR KT100 FROM SEIZING! 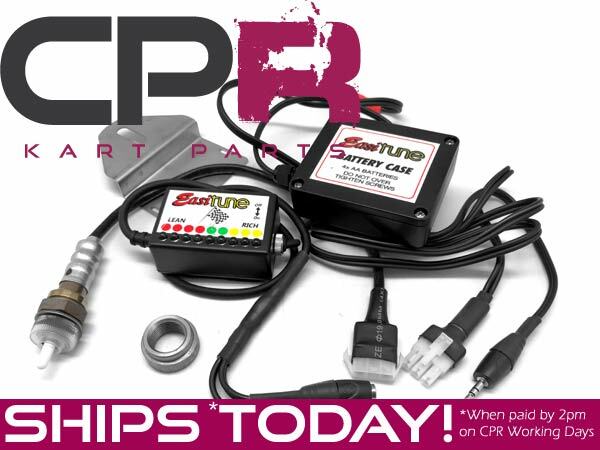 No guessing required, the lights on the Easi-Tune module show the exact tune of the engine at all times, so you can tune for safety and performance. The Easi-Tune system doesn’t rely on exhaust temp to determine mixtures, but instead uses modern technology (the o2 sensor) to identify the mixture ratio for an accurate and instant analysis of tune. With the Easi-Tune, you’ll be able to tune accurately, allowing you to concentrate on driving rather than on your engine temp so you can drive faster! The new model (2019) in stock is powered by AA batteries, rather than the older battery-pack with a special non-standard charger. This way you’ll be able to carry a spare set of batteries so you’re always fully charged. With the advent of intake & exhaust mufflers/silencers, earplugs, etc, the old “seat of the pants” tuning is verging on the impossible for the average racer. The sensor is temperature dependant. Weldins are supplied “stepped” and can be fitted into a 25mm hole. This is only normally done when fitting into a muffler.Refer to tech help, if unsure. The Battery Pack is now supplied as a case system - which can be fitted with standard or rechargable batteries (not included). Velcro is supplied to aid fitting, but in a bad vibration or ride situation, additional security can be obtained by adding a “ziptie” around the unit. The pack will last many hours, and charging on the way to and from the track, is usually enough to keep the pack “topped up”. PLEASE READ the fitting and tuning instructions - (note, these instructions are the old instructions - everything is the same except the charger and battery pack).